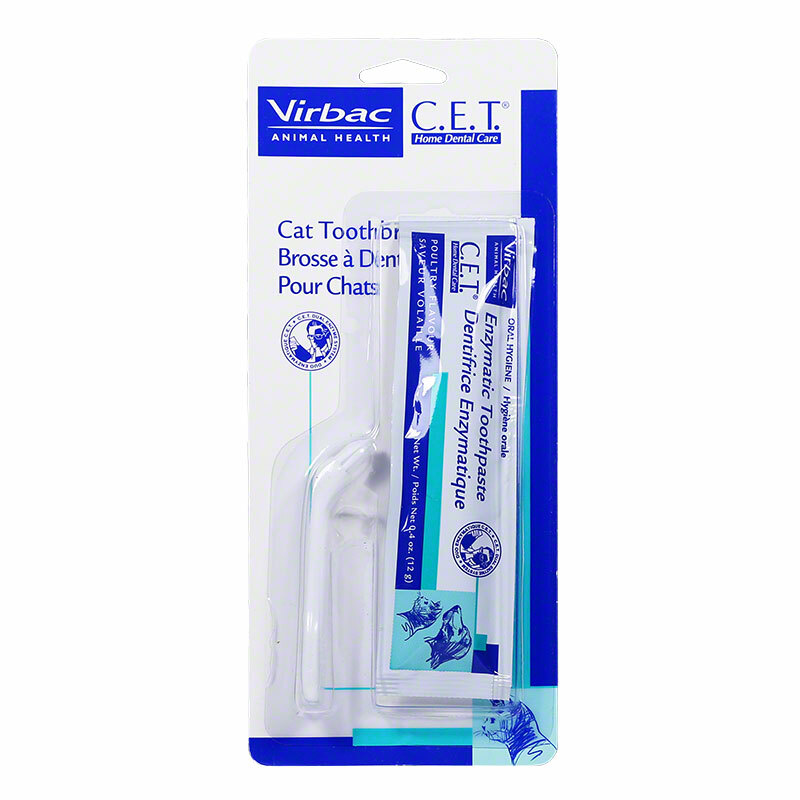 CET Cat Toothbrush w/ 12-gram sample toothpaste is the best at-home method for maintaining good dental health for cats. The unique shape is specially designed for the feline mouth. 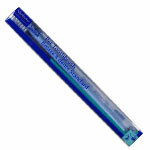 The brush is soft, gentle, and easy to use. 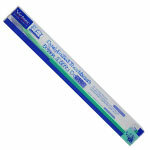 Long, soft bristles with a pointed tuft make it possible to brush a cat’s hard-to-reach back teeth with no discomfort. Also contains a 12-g trial packet of poultry-flavored toothpaste.